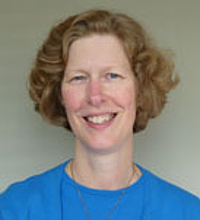 Helene Williams has more than 25 years of experience in academic and public libraries, and in addition to teaching in the iSchool, she is a consultant to libraries, consortia, and arts organizations. She teaches graduate courses in digital humanities librarianship, humanities research methods, information in social context, and collection development as well as undergraduate courses in social sciences program assessment. In her academic library career, she focused on collection development, information literacy, and reference services. She is involved in digital humanities research and teaching, and last year completed the Digital Humanities Summer Institute track for deans and program chairs. She is the editor for the ALA/ALCTS Sudden Selector's Guide series. In 2015, she was the recipient of the iSchool’s TEACH (Teaching Excellence and Creative Honors) award.